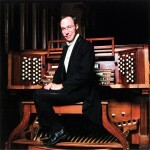 Well-known as both a skilled church musician and concert artist, Mark Dwyer is the organist and choirmaster of The Church of the Advent, Boston. He has held similar positions at St. Paul’s Church, K Street in Washington, D.C., and The Cathedral of All Saints, Albany. He has presented recitals throughout the eastern United States and in England. His work as conductor, accompanist, and recitalist may be heard on the JAV, Arsis, and AFKA recording labels. Dr. Dwyer is organist and choirmaster and on the teaching faculty of Saint Michael’s Conference for Young People, an Episcopal Church summer conference for one hundred young adults. He also served on the faculty of the Dexter School in Brookline, Massachusetts. He is a graduate of New England Conservatory. In 2012, Nashotah House Seminary awarded him a Doctor of Music, honoris causa, in recognition of his contributions to the field of sacred music.